ONE YEAR AGO TODAY I Graduated from my RYT-200 Program with Mike Nichols and it has been an incredible ride of becoming a yoga teacher. I started teaching before finishing my training about 1 time a week and expanded to 8-10 classes over the first 8 months. I primarily Volunteered my time to several Gyms and NPO’s and even had the privilege to SUB a class at a few bigger studios in Downtown Vancouver. The amount of teacher training hours has accumulated over the year and this has included CE in Restorative, Kids, Trauma-Sensitive, Teacher’s Integration Program and most recently, Yin Yoga! I am now on the way to a fuller set schedule and excited for the unfolding of the next two seasons. After rooting my teachings in Therapeutic Restorative and Yin with elements of Gentle Hatha, Yoga Nidra and fusing these lineages into different approaches. After teaching for 8-9 months, I was beginning to burnout and feel unsure where to grow or develop in my teaching, knowing there was unlimited amounts to apply and integrate. I wasn’t sure if I was ready to Enroll in a 500 hour program… One day I was volunteering at One Yoga for the People in Gastown when I was informed that Christine Price Clark, Vancouver’s ‘Teacher’s Teacher’ was establishing the new ‘Advanced 300 Hour’ Yoga Training with the Vancouver School of Yoga in Gastown. And… That was it! I sent my application in to VSBM and the next day met with Sarah Harrison. She is the Director of Admissions and also a timelessly talented Restorative Yoga Teacher (BONUS!). Sarah and I immediately connected and found common ground… I could hardly believe it had been an hour or more of us talking like giddy old souls! Sarah is like family to me now, I don’t know where I would be without her, literally. After meeting Sarah, a couple months passed by as I was waiting to hear from her and then… around October 8th, 2013 I get a call and Voice Mail as I was on the way to a photo shoot with Karma Teachers. The voicemail was from Sarah and she said to me she needed to talk to me ASAP. When I walked over after and chatted with her – she asked me how I had been the past few months. I had actually fallen into a deep depression as I was tapering off my medications for anxiety and depression (previous written in my biography post) and I had told her I felt totally unsure of my direction as a yoga teacher as I was primarily only teaching Restorative and some Yin at the time. Although I had completed tons of trainings close to another… it wasn’t really clicking and I definitely knew deep inside I was getting in my own way of growth and development as a teacher. I needed some time to settle and not go into more education especially when the 500 hour level is the main progression from a 200. My Jaw Droped, eyes darted, tears streamed, voice shuddered… I was honoured to not just have an interview to be considered for enrolment, but to be offered a spot to learn and grow with some of the most incredibly talented teachers I’ve met so far… that was more then I could ask for… literally! I took a couple hours to confirm my decision, she had given me about 4 hours to decide about commitment for the next 3 months at 32 hours a week, 4 days a week! After a delicious lunch at NUBA and walking around Coal Harbour I called Sarah back anxiously with my confirmation of accepting the spot. There I was, waking up at 7am to embark on my next path to teaching yoga, I was about to go into a intense and intimate journey with 7 other peers, people who became my family and still remain so today. I remember vividly Christine sitting us in a circle asking us what we wanted to take away from this training as a whole. I was the guy at that time specifically wanting to focus on restorative and yin, not much anything else… Man was I in for an eye opener and now look today where I am… teaching full on power classes and hatha classes as well alongside my restore and yin…! As much as I would love to write thoroughly each day and month… I won’t be able to realistically do so in this entry at least. Instead what I will begin to categorize is EACH elective or section we did and how I experienced them from the subject matter and also the instructor that trained me in it. I was extremely anxious as this training began. I was fully transitioned off my medication of anxiety/depression and mood instability and just honoured the 8th annual of my older brother Zachary Prince and my heart/lungs were grieving, my kidneys were adrenaline deficient and all I knew was to keep going forward. Throughout each module you will see as my layers peeled away one by one and the actual episodes which occurred to allow it to happen. Each morning of the first module we would arrive ready to have a 30 minute meditation practice followed by some mantra or journaling. Compared to my resistance in my 200-hour on saltspring where we mediated at sunrise and I couldn’t handle the process after two days… This time around I effortlessly could sit still for 30-60 minutes with pleasure and ease! This was a huge growth of tolerance from last year. Once we finished that part, a brief break to get water and we were fully being immersed into Principles of Practice and Methodology. I had always loved practicing the Anusara lineage of Yoga when it was in the studios when I first began in 2010… the way of instruction and bio mechanical alignment plus energetics spoke clearly and fluidly for my body/mind/heart/spirit. Having taught mainly passive styled of yoga up to this point, with the odd yang style… I was wondering about how this learning curve would work. The Universal Principals of Alignment, Key Alignment Principals and everything that encompassed them were quite a lot to digest and internalize in my own body… let alone articulate them in one sentence or so with no hesitation. (Now presently I am spewing them out with gusto and artistry in all my class styles! As if it’s a native language.) The mornings usually included a longer workshop focused practice of asana and anatomy with the application of our new learned knowledge. This really worked on multiple levels for my style of kinaesthetic, visual and verbal. Every single word Christine shared with us in practice I tried to embody it whole. In the first module we scripted our own poses using Darren Rhodes Asana Guide as well as writing our own meanings for Yamas, Niyamas, Om, Namaste and other important limbs or terms used in our daily yoga culture. After our practice we usually broke for Lunch for an hour and I took the indulgence of enjoying my decompression time at Juice Truck, Momo Sushi and NUBA primarily…. THANK YOU for feeding me during this transformational period, my belly thanks you ;). 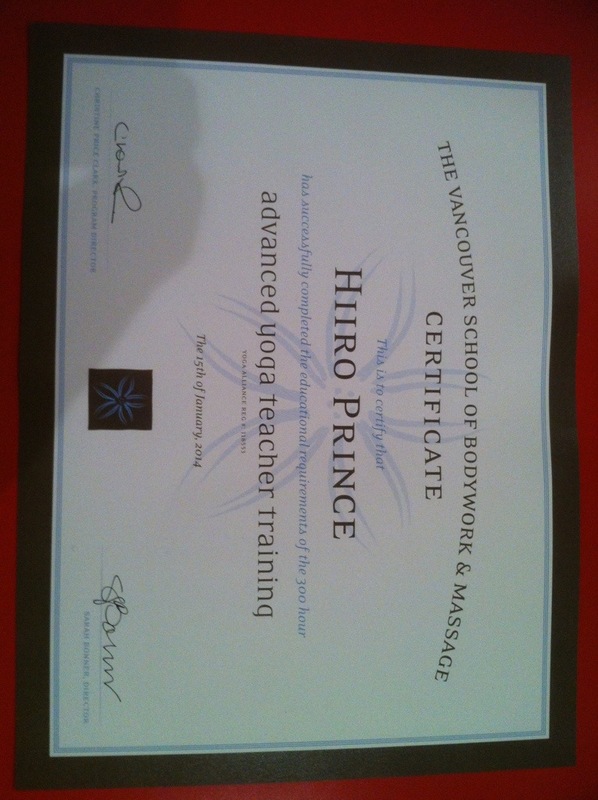 Damn Hiiro for a Restorative Teacher you sure queue like a Hardass ;)! I laughed about it realizing I didn’t have to be so authoritative and that I could soften up a bit. Granted this time I wasn’t really teaching much Yang and my anxiety was through the roof. I remembered hearing about this highly acclaimed woman when my friend Kezia discovered her while in Tofino and my other friend Meighlin had her as a mentor- they both adored her selfless humility and down to Earth vibe. I also grew this same respect and immediate fixation toward Natalie’s thoughtful wisdom and sheer (in the best way) nerdy pizazz for Yoga Mythology and Philosophy! Over three 3-hour days we leaned all about the timelines of Hinduism, Taoism, the Vedas, Divine Masculine/Feminine Gods/Deities/Archetypes. I normally faint after hours of straining my eyes at a PowerPoint projection… – NOT THIS TIME! Natalie literally is oozing from her heart and lungs and this kept my focus to learn and integrate this archival knowledge of yoga!!! Thank you Natalie for sharing your past with me and know from deep inside my heart you made me love the spiritual side of Yoga more both as a teacher and student. Between our electives again we primarily were led by Christine in a myriad of different styles of discussion and discourse relating to our own self-directed inquiry and she was ALWAYS there to support, listen, guide, help and coach/mentor to the last minute. Her ongoing LOVE for her children provided hilarious conversations and story telling which allowed us to truly see CPC in her divinity and epic grace. Not only is Christine a pure breed of both student and teacher- she is constantly willing to learn and provide space for freedom and spontaneity. A few times we were able to have the opportunity to showcase some of ‘our hidden talents’ in order to let go of our inhibitions. JOY PRACTICES were something Christine wanted us to think about, a way we want to make more time for something we love that normally we neglect. When it came to my turn, I said Photography because I did it for 4 years in high school and to the point where I was going to go to a BFA at Parsons in NYC. Remember THIS for a later anecdote. The experience was more then liberating for me, as it connected me to my peers in a childlike manner that I still have lifelong dilemmas with in allowing myself to fully ‘let go’ of my grief/sorrows/pain/traumas and loss of my Brother and Grandmother. I was very happy to be able to cross paths with the endearing and wholesome Chantal Russell, one of my first Anusara Teachers at YYoga Flow when it was offered at 4:15pm. I recall her coming over to me and asking me if I ever practiced the class before and said no… which then she handed me a invocation card to follow along to. I had no idea what the hell I was reading, but appreciated the touch to be included in this chanting. Well after the class I continued coming back several times and the one consistent thing about Chantal was her undeniable gentle soul and graceful voice to listen and guide me through this integrated practice of Anusara Yoga. JUST KIDDING… but I did say I was 8 months along and in major need to exert some energy :P.
In my Group of 3 we took turns leading another through general vinyasa and every single time I gave a queue, it was as if everything Chantal said came in one ear and out the other, as my directions were the exact same as one would say if their students weren’t pregnant. My peers included a vibrant woman in her mid 30’s and a feisty beauty and mother of 4 in her 50s. They laughed and had compassion for me, it was like i was their Gay son in training for being a surrogate. All I can say was I learned a great amount in the short length of the Pre Natal module and my peers were the best supports I could ask for, so thank you all of you! I’m just going to ‘come out’ and say it point blank with no censorship (but really would you be surprised reading this far and my other blog entries? PS. how about that, feel free to take a peek on the main page for those other posts! “Hey (my peer) am I the only one here that’s having visceral rea- …” – NO I’m traumatized too!” – Hahahaha, Well, at least I had someone to confide in and knowing it was out of love and pure genetic reactions. There’s definitely a future for me in being more educated on Pre Natal yoga for safety of students and that’s most likely where the scope of my personal depth will travel. Chantal was AMAZING and understanding of my needs and never would I ask for another teacher – much respect and adoration Ms. Russell! Finally, the 12 hours I was waiting to have for myself to indulge in. My peers had rarely even practiced restorative yoga and I was thrilled to have them exposed to my side of things. Christine was out of town and left Sarah to handle the show, Sarah – JOB WELL DONE. We began in a meditation as per usual and were led into a purely classical 90 minute practice. Sarah set up each station with the utmost care and attention and I was just glad to have a 5 asana practice. After the practice we spent the first 8 hour day on learning through the differences of restorative to yang yoga styles, props, all the asanas, meditations and class planning, as well as self-reflective exercises. Practice teaching was also part of our training which gave us the freedom to test drive our practice and teaching approach and I was honestly most satisfied by witnessing the growth of my peers… I also personally took away MORE approaches to seamless sequencing patterns and effective propping for poses. We recorded our own voice at home for teaching restorative too which was fun as I had never done this before then. The training ended with us experiencing BIO MAT Therapy which basically was a huge heating surface filled with crystals to help treat/cure insomnia or digestive problems and much more then that! Sarah’s approach to teaching and training was the perfect mix of humour, sincerity and pure grounded awareness. Her knowledge of the Restorative practice is wonderful especially in the classical/traditional end of the lineage as this was not focused toward the therapeutic style that I primarily learned and practice with Chris Manansala. Sarah is someone I hands down suggest you entrust your time and commitment to learning with REGARDLESS what she teaches you. You need to see it for yourself, so go meet her and get ENROLLED with VSY and then you will see what I mean first hand! We had the honour of Chantal serving us with the background of the Vayus, Malas, Koshas, Conchakas, Yamas and Niyamas as well as overall ethics of living a yoga lifestyle. I strongly resonate with these different systems of the body, the many approaches of thematic sequencing and how the energy bodies layer is profound. Although I don’t know them all by heart and what they represent, I thankfully have notes to study and implement when I am ready to. I feel Chantal summarized everything in a beautiful package for us all to take home and unpack when we need it for future reference. I could listen to her voice and stories all day long, what special soul. She also for the record commuted from BOWEN ISLAND for us… seriously – that’s pure Seva there! One morning we were focusing on KEY ALIGNMENT PRINCIPALS and the Level II Anusara Syllabus… it was a floor based class and ALL HIPS… using the active focuses versus YIN for connective tissues. Well, lets just say that the asanas themselves took a beating on my mental health and unblocked some kundalini shakti. When CPC brought us to seat in meditation, she led us on a guided meditation to CONNECT WITH A LOVED ONE or ‘Source’ that we felt the need to receive some energy and support from (if my memory serves correctly…). Well I was coping through severe grief and loss at this moment and of course my Brother was the first vivid thing I saw appear. It was profound as I felt like I had a long catch up with him, hugged him, heard his voice and for him to catch my tears in his hands, it was a reunion that truly felt like the closest to reality I would get. Eventually through her ways of entrancing my mind and focus, I began to CRY… CRY… CRY…. CRY! My eyes were red and searing with what felt like electrical acid from my stomach, purging out this void of a black hole that tried with all its power to entangle itself within my heart valves, trachea and intestines. The serpent had been uncoiled from hibernation as it shed my skin layer after layer until I had no more protection. I felt scared, alone, vulnerable… but yet… I CRIED IN PUBLIC space amongst my PEERS and HEAD TEACHER with NO CENSORSHIP… I wailed and wailed and allowed myself to surrender to my emotions completely and although it was one of the most fragile moments since seeing my Grandmother pass right before my eyes – it was crucial for the rest of my growth and processing in this Teacher Training. He would be very proud of me for everything I’ve fought for and persevered through. The urges to cry have bee so strong and this meditation I fully surrendered to my emotions in order to let go of some of this pain/grief and immense sorrow of darkness and despair. I feel even if I have Everything within me as a whole, there’s absolutely nothing to have there to give or receive… just the endless battle of NOT succumbing or buckling to the hells as a Victim and being a vicarious ‘Hero’ that must embody his bloodline and brotherhood now in history. I’m the only one left now that Zach is no longer physically tangible, it’s my sworn oath I took upon myself to make my life the most unforgettable and universally shifting I can in whatever ways i do it. I promised my Brother I would not let him down, that despite him never expressing his LOVE or support in me until his final last words on his death bed. I knew I had to keep running, breathing and fighting the status quo that took my only other generational bloodline. I was out for revenge and retribution at a very young age, rebelling in a way that’s not of the denotational manner but my own connotational interpretation. This was almost like a universal SEVA that had the same impact of a global rebellion, only to serve with love and giving back instead of causing pain and suffering to anything or everything. I don’t want his life to be in VAIN and still I continue to struggle not just living life to my utmost potential for me… – But for Zach as well. – Hiiro Prince: Written by hand on OCTOBER 23, 2013. At the end of each of our Modules, we had to teach a class to display and integrate all the information we acquired from our teachings. I decided to get it over with and teach 1st, as well as a VINYASA POWER class focused on Tapas, Fire and Peak Pose as Twice Born of the Heavens aka Birds of Paradise. At a time where I wasn’t currently planning classes (now I plan a lot and quite thoroughly now that I have the awareness, skills and confidence and passion!) I did the best I could to craft a sequence for 60 minutes. The class seemed to go well, as I stumbled a bit here and there with guiding my peers through my flows. The timing, pacing, instructions and other elements were rusty but hey, I was going into my resistance in order to break my boundaries and now look where I am presently as a vinyasa and hatha teacher to go with my restorative and yin! The module ended with a final quiz where we discussed our answers afterward and here is another anecdote for you to enjoy ;)! That discussion lasted quite awhile and after the hard working inwards, it was nice to let loose a bit and talk about hot guys and share a few laughs. Hearing everyone’s answer and reason for it was also quite interesting. Can you guess who I chose? P!NK and Sofia Vergara… *Gasp* What? They are the only women I’ve ever had a inkling of attraction for… but otherwise nothing ;). Practicums were wrapped up and so was the Love (naw… the love kept coming!) The first couple days were debriefing everything from module 1 and clearing up anything else we needed to clarify from what we covered. In between our 40 hours of anatomy training and 16 hours of yoga therapy it was another 50-60 hours of pure teaching methodology, principals of practice and everything ranging from sanskrit, thematic sequencing, reading bodies and putting it all together toward round 2 of our practicums. The people we had for these two electives were seriously inspirational both in their own story as well as personal approach to delivering the knowledge in different ways. I will go into more depth below about what happened and how it made an impact on me as a teacher especially as I write this now with it being less submerged and more tangible and applicable…! Lauren is the head of the 200 and 240 hour enriched programs at VSY and had the gift to share with us which was yoga therapy. In these two 8 hour sessions we learned a whole lot of information about how to establish and maintain a private 1/1 yoga therapy practice. Everything from generating clients and progression plans for success and how to transition students into a public studio environment where they can thrive without injuries or unneeded traumas. What honestly made it special for me… was LAUREN – her uncensored and genuinely articulate use of words to convey her message and story. To hear about what she encountered in her past and where it led her to what she is doing now so passionately left a mark on me that left me wanting to know as much as possible from her about this line of work… Day 1 we started with an asana and meditation practice followed by the step by step process of body reading a client and assessing how to apply every UPA and KAP (Key Alignment Principal) to changing the persons misalignments into healthy form and posture. Lauren needed a volunteer to demo on and I offered to be her guinea pig. This was incredible for me especially having a chronic thoracic spinal injury that especially affects my heart, kidneys and lungs from breathing and producing adrenaline. When we finished the assessment and defined where I needed more of a certain UPA or attention to alignment and refinement… it opened up many subtleties that I applied to practice immediately. Having gone through this I am excited to share this with other potential clients. In fact I can also share that I start with my very first private client in the next couple weeks and will be applying ALL of Lauren’s Yoga Therapy criteria to my process as I begin to delve into 1/1 yoga and bodywork sessions! The second day we delved into the different effects of pain and trauma within the body and mind, how they did and did not correlate to the present holding pattern or state of mind etc. It was the other side to the physical approach. We had the chance to also work in pairs and assess ourselves to reinforce what Lauren taught us and also instruct a peak pose to demonstrate where our client would potentially be at the end of their three months of consistent disciplined work. The 2 days went by very fast, and generally that was what went down, learning to read and assess bodies, learning about the theory of pain and trauma, working with one another to reinforce it all and finding our own way to connect to this style of personalized 1/1 work. Lauren is a gracious and captivating host and trainer. She holds a wealth of personal and professional life experience that can’t be taught by a person… she learned it from her own lived wisdom and I can’t wait for the next set of students in the TT to have her to learn from. She isn’t just a VSY TT… she teaches at Hari Om and Vayusha Yoga, is the founder and owner of www.YoGo.Tv (an online subscription yoga service providing top quality yoga classes on your web provider) and a mother of a gorgeous daughter! Thank you Lauren for everything, I hold a special place in my heart for you my love. Ohh….. boy. I was a bit nervous to step into anatomy again. It is one of those subjects for me personally that although you would think it’s fascinating to learn about who and what we really are, how it works and where it was originated from… it’s not for the faint of heart. It took a lot of attention to detail and focused awareness to digest all the knowledge. With that being said though, Stefanie Zimmerman’s diverse approach and deliver of her Anatomy was flawless. Her vast knowledge of the body, anatomy and all the systems from energetics to superficial layers honestly blew my mind away. She had two handbooks for us which I keep close to my bed to read when I need some quick reminders. I won’t go in depth like I did on the first module, but we went through absolutely every part of the body, we crafted class plans, presentations and other materials to support and reaffirm our clarity for the information and it nonetheless tested me tirelessly. A lot of the time I noticed my brain taking it all in, but I was in a huge intake and processing state that it prevented me from verbalizing my knowledge until literally this past week and the package will be unpacking itself for years and years to come. Stefanie I could listen to nonstop just for her unique accent let alone the nonstop encyclopaedia of education she has… as a Physiotherapist and Yoga Educator, the combination makes for a deadly cross platform to train students across all realms of movement (yoga, bodywork, athletes etc.) Her stories of where she has worked and shared her gift of healing shifted my awareness in how you can apply this information literally anytime, anywhere, every situation. She was always there to listen to me and our class, wanted to provide us the experience that would benefit us the most while also having her able to deliver the content for the anatomy portion. A big salute to you Mrs. Zimmerman, thank you for your fabulous work and know that it has served me well and only continues to come more and more into my teaching and personal practices as I integrate fully from our time together in the program. Sjanie and I go back to my first few months of practice, I was in a class of hers when YYoga Yaletown offered Anusara and she talked about matter, energy, Sci-Fi and black holes… I had no sense what the HELL she was referring to, but I eventually kept seeing her when I worked the desk at YYoga Flow and eventually began attending her monday night classes at Yaletown for Hatha and we established a rapport that went beyond the casual student-teacher dynamic (nothing freaky of course! – may need Auntie Sjanie’s approval on that :P.) Sjanie has a special place in my heart and if you ever get a chance to learn from her, PLEASE go to her classes – her dialogue and alignment and personal approach to a physical practice is unlike anyone else I think I’ve seen in Vancouver. During the middle of the second module, for the first week of it I was feeling worse and worse (emotionally/mentally) and knew it was time to make a shift or else I don’t know where my mind would have gone to… I surrendered to my 1 month of being fully unmedicated and still celebrated victoriously as I went back on a very minor 10mg dose of Prozac. Within the next two days, it was like a neurological 180 degree SHIFT. My mood and energy sky rocketed, my morale and endurance peaked, my eyes were open wide and able to absorb everything that was thrown at me. My sense of humour and playful flamboyance began blooming after a long time being masked. Part of me wished I had done the shift sooner so I was able to be that much more present in the start. Christine and the group noticed me really change in every sense, they weren’t aware what was going on but CPC and I had a closeness that allowed me to confide in her as I went through this transitionary process and it would have been much harder without her motherly aura and heart. After we finished Anatomy it was already time for Practicums again…! This was and hopefully will be the closest I will get to being in a real university type inspired intense course… seriously my chakras were ‘Twerkasanaing’ to the point of being… thats right, verklempt! It was a huge shift for me when CPC said this, I felt like I was permitted to actually be myself instead of trying to (purely at THAT moment of time) conform to a yoga teacher I simply was NOT in the mindset or body of to deliver a yang based practice. Listening to her words carefully I took the joy in offering my peers my pure voice as a restorative teacher and although it was comfortable – CPC had a few tricks up her sleeve as she lovingly and discerningly hounded my back with any little details for refinement. From the tone of my voice, to the pace of my dialogue, HOW I set the space and elements of a class, mood and tone, poses and sequencing and most of all – being able to as she put it “PUT IT IN THEIR BODIES TANGIBLY!” This took me some time to understand but with enough repetition I definitely notice myself able to apply this and it definitely has shifted my voice as a teacher and strengthened my observations of students in class! It was nice that my peers all loved it, I mean I did give nonstop massage and hands on and a couple fell right asleep in their backbend… – never underestimate a lie down on a bolster with no props even, just a bolster… – HEAVEN! PUJA (Altar) – We also discussed the meaning of PUJA and had to bring in a object of some sort which held a meaning for us. I brought in a old penny that I used to represent the spirit of my Brother Zachary that I already mentioned passed away 8 1/2 years ago from Leukaemia and I was told that when you find a penny on the ground it means they are there watching you and protecting you. So when we talked about why, this was what I picked and we left our offerings there until the last day. Module 3 has a lot more for me to speak and share about as it had many more little electives like Module 1. As I was two of three parts done, I was ready to finish as strong as I was able to… I knew who was coming in for the rest of the training and wanted to maximize my learning as much as possible. These teachers were part of my growth and development from pretty much my first 4 months of practicing with YYoga and also after my 200 hour training with Mike Nichols and STILL remain as anchors of both my teachers and mentors in more then a yogic context. Out of all the modules aside Restorative, THIS was the training I was wanting to dive into right away. Being someone who sees himself making this as a lifelong career and delving deeply into all it has to offer me, I want to know inside and out how to run a studio and successful business both as a teacher and businessman. I will describe how Shannon and Chris came into my life before this moment in time and how they are relevant to our training in this present context. When I started to try YIN out, I didn’t have the ability to sit and be still, although you’d never look at me now and think this… I needed vinyasa and hatha when I began. The way Chris led his classes with simplicity, light hearted dialogue, humour and long held poses with simple transitions made me fall asleep every single time for extended periods… usually in a front-facing twist… – I had to be woken up by him many times. HAHA! Anyhow, Chris got me into other teachers for Yin and this is where I really found some other depths for the practice, Back to Business though, literally ;). Chris came in for a few hours only and mainly discussed with us his FIRM LOVE for TWITTER and showed us all the different ways of using it to promote business and viral exposure for you as a teacher and entrepreneur. 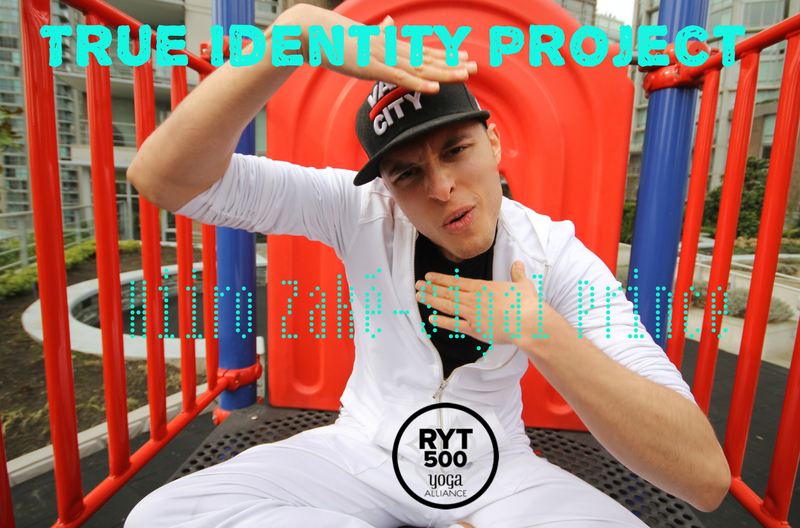 As he is one himself and the founder of Music Heals he is a busy man and specializes in the Yin, Contact Partner yoga and Meditation lineages along with a Thai Massage education. After we tweeted and tittered and… – went right into FACEBOOK posting, we learnt about strategic planning and advertising events, posts and page making. Workshops were also on the table and after in depth do’s and don’ts (this was a fun discussion I thoroughly got value out of) we made our own posters for a garage sale for Chris to critique. Well, Christine WON… dammit ;). After that Chris talked to us about more of the background in teaching yoga in public and provided us wisdom on how to be successful in our own right. We ended up doing some partner yoga with Chris and this allowed us to bond in a more meaningful way as we were heading into the final module. I love Chris’s laid back and genuine energy he offers to us in this context and also him being our only male faculty member it was nice to have some male energy in there even only for 3 hours. He even stayed longer to continue discussion and this was a pure act of selflessness as to how busy he is, but cared so much about us he wanted to support and give. Thank you Chris for always being there from day 1, I don’t know if I would still be where I am NOW as a Yin Teacher and student without your influences. I first met Shannon at South Granville YYoga and it was when a full day studio and she was teaching Friday and Sunday Hatha classes… REALLY AMAZING ONES. She and I clicked from day 1 and I honestly only resorted to Hatha yoga at that time when I severely injured my shoulders and upper back from NOT knowing how to integrate my shoulder girdle etc. Shannon’s Hatha and VInyasa classes were unlike anyone else I’d taken in another class. Her attention to healthy alignment and preventative measures were heavenly for my body and she seemed to ‘know’ I was someone to invest time in. I continued practicing with Shannon for weeks, then I felt okay to go back to more active powerful classes… until AGAIN injuring myself even WORSE and winding back into her classes… (telling her to heal and fix me…). Well she didn’t focus on that, she gave me the tips and resources to reflect on my own soul. This conversation continued for the following years and eventually I enrolled in her TIP at Sanga Yoga in Dunbar and finished 2 weeks into the module 1. Shannon definitely believed in me and I can’t believe how humbled I am to have her in my life as a friend, teacher, mentor, guide and now confidant for anything I need…. She is there for me and I don’t know what I would do without her in certain ways already as I’ve inquired to her for help and support as I’ve managed to find my way to where I am now. The business part was all about numbers, studio management and scheduling and the ins and outs of being a private contractor (rights, freedom, ethics, boundaries of personal and professional, contracts and waiver forms, setting up your own small business for success!) I walked away from this very refreshed and reaffirmed in my desire to become one day a studio owner or manager both on the service and operations/retail side of things… I know it’s in my blood and it will happen one day when the time is right. Shannon is a master I’d say when coming to a core based and breath based yoga practice. With her own personal anatomical and health background she has needed to find methods and ways to treat and heal from her ailments (ones I never detected before being shown) and this led her to share some therapeutic core work with us for our own practice. This was perfect for me as I don’t usually focus on my core intentionally and was wanting some more tools to integrate into my personal practices and teachings. After going over the different layers of core and her personal code of alignment principals we enjoyed a few asana practices that reinforced her core mechanics and it felt like a mini break from the heavier content of anatomy in Module 2. This section covered a lot about our own core values in teaching yoga and how they crossed over or did not cross over to us as people off our mats. From creating our own yamas and niyamas and also focusing on where we set our professional/personal boundaries it was much needed for consideration! This also included how to cultivate community and pursue teaching yoga publicly and privately and the different methods of approach for that to happen. The different routes that newly graduated 200hr students venture through were discussed and allowed us to voice where we were, what we were doing and HOW this all fit into the long term picture of us being yoga teachers post VSY TT. It was almost finished, this long-short path to becoming an RYT-500 was under wraps but we had a 2 1/2 week hiatus to enjoy the time to decompress and integrate as well as prepare our final practicums. I was off to San Francisco for a much needed GayCay and YogaCay and had the honour of being at our christmas gathering prior to departure. Our group was so awesome at making an effort for all the faculty to connect and so we hosted a christmas party where we shared baby photos, hidden talents, learned about CPC’s history with business of yoga and how she became the legendary CPC and so forth. Aunt Sjanie and Stefanie came with her precious boy Noah and everyone MADE FOOD. I almost food coma’d when I devoured several chickpea pakoras, vegan gluten-free pumpkin squares and guacamole… YOGASM! After that it was time to show my baby photos… everyone had no idea I was a young and overly obese child and I enjoyed seeing the looks of shock and admiration on their faces… they all looked adorable as kids as well… it was beautiful. I remember we were preparing something for CPC as a gift we pitched in for and we told her to go wait in the lounge. I stumbled upon her SHOPPING ONLINE at Gravity Pope… I stuck with her for several minutes personally shopping and styling her… my favourite thing to do beside yoga (SHOP/STYLE!). After we brought her in the room, we sat in a circle and gave her a Sanskrit-English dictionary and CPC when you read this I better see you’re a Scholar of Sanskrit! After we celebrated our god mother Christine we ended up showcasing hidden talents and as I had to go early I went first. Mine was showcasing my Hiiroic Hugging. I gave everyone a tutorial about how to not just hug someone, but to fully embrace them inside out and also optionally crack their spine and open their hearts. They seemed to enjoy it ;). Then after listening to some live music on guitar, it was time to leave and depart to San Francisco where I was going to catch up with my very first yoga teacher and dear friend/mentor/inspiration Sean Haleen. He was a YYoga teacher offering hatha and vinyasa classes and my first class with him was at GAB YOUTH (my gay youth group where he was a volunteer!) and we’ve maintained connection since and now he’s a SF yoga rockstar. He is my Gay Jewish Yogi aspiration for my own version of my yoga style and I know one day I will be like him rocking it at Yoga Tree in SF. I practiced with a few teachers there this time and found major breakthroughs with Harvey Deutch who is in his late 50s and also a PT and 33 years experienced teacher of yoga. His therapeutic class was like Manansala but I have to say even in a different way just as masterful. 1 hour and I was set for the rest of the trip. I highly want to do his 100hr therapeutics training if I have the option to do so in the future. 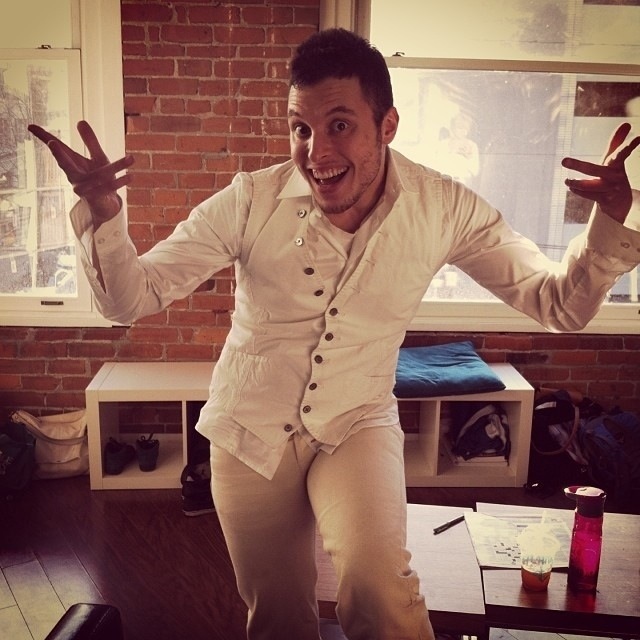 Then I caught up with Darren Main for a Restorative class (Darren is head of TT for Yoga Tree in SF and also Gay) and I can’t wait to see him again… what a lovely and special human being! I already completed this core training last Mach right after finishing my 200 hour with Mike and was blessed to have it reinforced for me again as I was in a different space and mindset. The courses were also 3 hours long over 5 days instead of 2-3 8 hour days and I much preferred this less intensive approach personally. The courses are divided into 4-5 workshops covering a breadth of topics such as: Trauma-Sensitive, Boys/Girls, Teens, Women and Men and all the different scenarios that could occur in their lives that induced trauma and/or aftermath that shifted their lifestyle from the one they had beforehand. It gives you the skills of language, touch and observation as well as boundaries in order to facilitate trauma-sensitive classes in both public/private settings OR in a Yoga Outreach setting. Once completed, you are able to volunteer to teach for Yoga Outreach and they will find a fit for you somewhere that seems right. Nicole and I met at the first time of my going through this program. Also a fellow Jew, we connected on many heart levels and maintained a relationship beyond the training… her ability to connect and transmit/translate her resources and knowledge is something else. She leads classes and lectures with humour and the best kind of snarky dry wit in order to diffuse the heaviness that can sometimes occur with the subject matters of Trauma, addictions and alcoholism, abuse and other related scenarios. She has been someone I can call or email about anything personal or professional and I know she will give it right to me hard and strong. Like a good gunshot, she will make you bleed clean and recovery without any damage left behind. Thank you Nicole for all you have done in my growth and this is an homage for you. Jasmina Egeler and I met at the first training as well (to be honest though… I didn’t recall WHO she was…. – yes we clarified this ages ago.) I believe it was when I volunteered with ONE YOGA for 6 months between February-October 2013 when she came in for classes and we eventually clicked the dots together. Once that was done and we were ‘FB friends’ we kept crossing paths and became inseparable. Her bright eyes and fiery nature lit my pilot light and put my pedal to the metal so to speak…. one of the main contributions she has offered to me was to SUB a class of hers at the YMCA Robert Lee which was a 65 person POWER CLASS that I ended up accomplishing and had the support of the crowd clapping in applause after. Jasmina and I still have a love fest every time we see another and her classes are FUN, FUN, and WORTHWHILE to invest time and studentship into. Jasmina, I love you – if you are reading this, then awesome =D. If there was ONE THING i were able to reverse in my TT, it would have been the way I prepared and led my final practicum for my peers and CPC. I had planned to challenge myself to offer a thoroughly planned YANG style class that literally formed from pose 1 to final savasana, focusing on all the tools we learnt from UPAs to KAPs to Thematics and everything else. I had it ALL on paper and ready to go…. but my heart wasn’t there, I just couldn’t at that moment bring it to the class. I ended up offering a spontaneous Therapeutic Restorative / Hatha / Yin fusion class with the elements that I felt I wanted to incorporate to my peers. Well long story short, I rightfully so got a large mentoring and coaching session from Christine Price Clark (one I knew I NEEDED badly) and once it set into my system I wrote it all down and made up for it in another way and it was all okay in the end. I look back at this moment in time now even only it being 5 weeks back thinking it as an eternity and how I let it affect me to the point where it wasn’t healthy. I just cared so much about my effort and investment of time that for me to let myself put that out as a last foray… it wasn’t a direct reflection of what i had learned in the 3 months…. After seeing all my other peers teach their final classes, I really felt this sense of guilt and letting myself down even more. I accepted this action I had performed knowing I had the determination of reclaiming my own power source and working forward to get into teaching YANG style yoga to go with my YIN/REST established offerings the past year of teaching. (So let me make sure – your scapula is your shoulder blades right? Why the hell don’t they just use the term Shoulder Blades?…) and so forth :P.
As the afternoon progressed and we came back from Lunch, we were told to all wait in the lounge while CPC, Chantal and Sarah set up the space for our ceremony. This hour or so we bonded with group photos and other fun discussions. The door opened finally and we were told to line up and prepare to walk clockwise around a circle of candles until we found our names in their designated locations. One of my favourite mantras – Aad Guray Nameh by Deva Premal was playing and as I walked the circle… this wave of neutrality washed over me. I had overcome a LOT in this season and here was my prize to claim, never thinking a piece of paper would symbolize such resemblance for my time invested in what I CARE about for the rest of my life in this physical vessel. We were asked to collect our PUJA offerings one at a time and I was the LAST to go. When I walked up to search for my penny… …. …. … … … … .. … .. … … … .. … .. .. …….. GONE, VANISHED, NON-EXISTENT. I looked down and took a few deep breathes… knowing there was symbolism for this beyond my own comprehension. Whether if it was there or not, I didn’t see it and surrendered Zachary Prince to wherever he circulated to, I didn’t need to continue holding onto my Brother anymore at that moment in time… it was MY MOMENT of pride and self-worth and he knew I was worthy of every cents worth. My peers looked over energetically while they kept their eyes closed and I don’t know if they realized i didn’t retrieve my item… but this is what happened all at the same time. Life and Death are inevitable, they are a cycle like we refer to as samsara and perhaps Zach had reincarnated into my body and I was provided that power and wisdom of his spirit in order to go fly high and soar to my dreams of yoga and personal venture. We all sat and held hands, Christine literally wore a white gown, it made me call her ‘CHRIST-ine’ because she looked as angelic as a goddess and it just made sense at the moment to say that. She led us into a chant one last time and thanked us for being on this journey with her, how immensely proud she was of us all for committing to this process and how truly amazed she was with each and every one of us for different reasons…. A big OM closed the circle as we retrieved our offering to the PUJA we created for our sessions, opened our gift which was a bracelet of matching gemstones or rocks that symbolized us in CPC’s eyes (I was assigned one of my loves, hematite!.) and a final farewell hug and clean up and conversations afterwards for an hour. There I was… standing proud and tall in my shoes, freshly RYT-500 certified and ready to walk past the white light and take the Vancouver Yoga Community and beyond by storm. 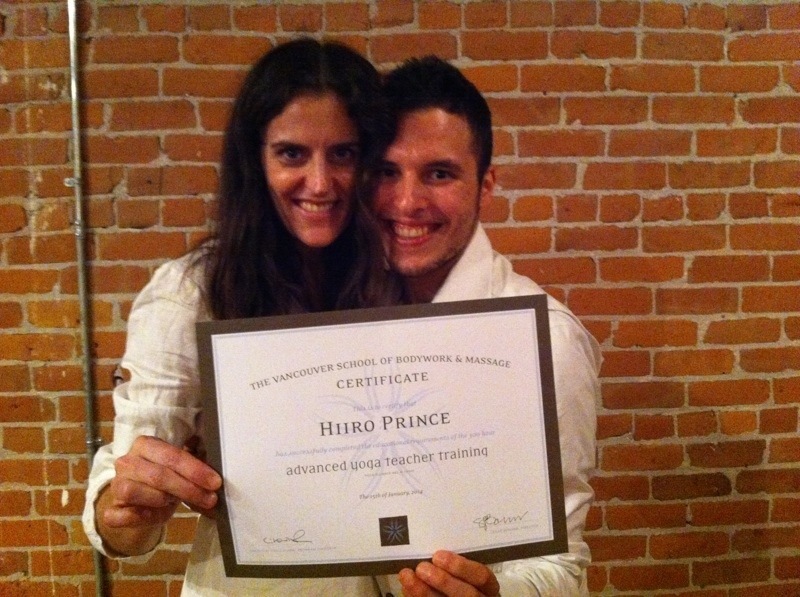 I definitely can say this training SAVED MY TEACHING CAREER from being a very linear path of only Restorative and Yin yoga and although these are passions and babies of mine and I love them – I’m PROUD to have the courage and drive to call myself not just a power or flow or hatha or yin or restorative yoga teacher…. but as a TEACHER and SHARER of yoga through the FULL SPECTRUM of Yin:Yang / Breath+Meditation / Sound Healing + Mantra and Public Speaking through Story Telling and Diaglogue. After taking a deep breath in VSY, I departed and off I went to Marpole to teach my class for the evening and then slept in VERY LATE as I didn’t need to get up for 7am any longer as a requirement :). 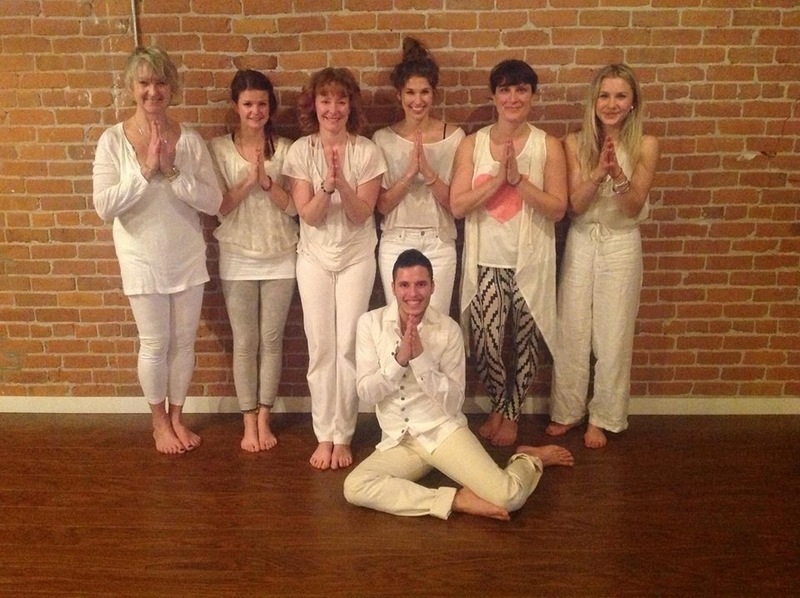 I am indebted to Sarah Harrison, Sarah Bonner and all the faculty of operations at Vancouver School of Yoga and Bodywork/Massage for their beliefs in me being someone to invest in as a yoga teacher and accepting my application to enrol in the 300 hour training with Christine Price Clark and Friends. Yoga Nidra, Meditation and Ray Long Anatomy, Reiki, Somatic Yoga/Therapy, Phoneix Rising, Relax and Renew with Judith, Therapeutics with Harvey Deutch, Yoga tune Up with Jill Miller, Rainbow Kids Yoga round 2, Ecstatic Yoga with Emerson Lim and Tensegrity with Chris Clancy. – RYT-500, RYTT 80, YYTT-70, TIP, Yoga Outreach, Rainbow Kids.